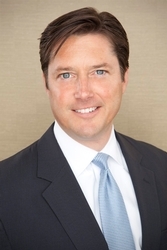 Timothy J. Duffy is a partner in the Yardley, Pa. office of Hill Wallack LLP. He is a member of the firm’s Banking & Financial Services, Business & Commercial, Real Estate, Land Use and Construction Industry practice groups. Mr. Duffy serves the regional business community as a trusted counselor and effective advocate with an emphasis on matters involving the ownership, management, and development of real estate, and the financing of those endeavors. With over twenty years’ experience in both commercial litigation and transactional matters, he is able to guide his clients through all phases of their business dealings – from the start of a business relationship through to its termination. He helps commercial property owners and managers negotiate leases, structure default work-outs, evict unwanted tenants, and buy and sell their real estate investments. He represents a large number of area financial institutions documenting and closing their commercial real estate and asset-based loans, construction financing, bridge lending, and SBA loans. In the area of land use and development, Mr. Duffy brings his prior experience representing numerous area municipalities to guide developers and property owners through the zoning, land development and permitting processes for projects of all sizes. Mr. Duffy regularly represents private landowners and developers seeking land development and/or zoning relief before dozens of municipal boards and commissions in Bucks and Montgomery Counties. Mr. Duffy’s clients include the owners and managers of shopping centers and other commercial properties throughout Pennsylvania and New Jersey; real estate investors and developers; site and general construction contractors; family-owned businesses; and, local and regional financial institutions. Mr. Duffy is admitted to practice in Pennsylvania (1992), New Jersey (1992) and before the U.S. District Courts for the Eastern District of Pennsylvania (1992) and the District of New Jersey (1992), as well as the Third Circuit Court of Appeals (2006). He earned his J.D. from The Dickinson School of Law where he graduated Order of the Barristers and member of the Woolsack Honor Society. Mr. Duffy received his B.A. from St. Joseph’s University. A new, mixed use (retail/office/residential) project on the site of a vacant, unused property in the commercial core a local Borough. A new radio communications tower and associated facilities as part of a county-wide upgrade of emergency communications system. The development of three new regional elementary schools to replace the existing nine school facilities of a local school district. The relocation and expansion of the storage and retail facility for a national equipment leasing organization. Negotiated and documented the restructuring of numerous shopping center leases with defaulting tenants, including those involving forbearance agreements, consent judgments and the grant of security interests to Landlord. Succeeded in prosecuting a prime contractor’s claim for payment for additional work in arbitration against a local municipality in connection with the construction of an addition to a municipal building. Represented a school district in a state court civil action and related AAA arbitration in defense of a claim by a site development contractor for delay damages and other losses in excess of $1 million in connection with the construction of a new high school. Worked with clients and their other professionals to successfully transition ownership and control of businesses and real estate from one generation to the next. Mr. Duffy has also volunteered countless hours over the years with local organizations such as the Lower Bucks County Chapter of the American Red Cross (Board Member and Vice-Chair), the Upper Makefield-Newtown Soccer Club (now Patriot F.C.) (coordinator of the boys intramural soccer program), and the Environmental Advisory Council of Upper Makefield Township (member and Chair). Seminar: Does The Pipeline Affect You?